Give a hoot about savings! 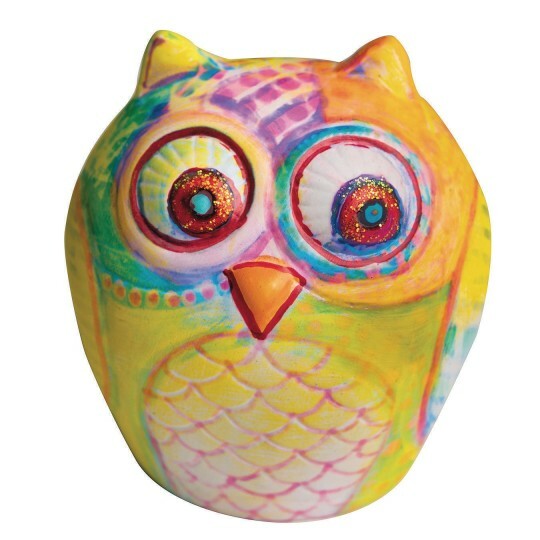 Give a hoot about savings - Paint your own unglazed white bisque owl bank in your own personal style! All decorating materials are sold separately. Measures 3"W x 4"H. 1-1/8" coin slot on top and rubber stopper at the base. They save and you save! I work with clients in a psychiatric/substance use treatment setting running therapeutic groups of all kinds. This product is fantastic they loved it!!! 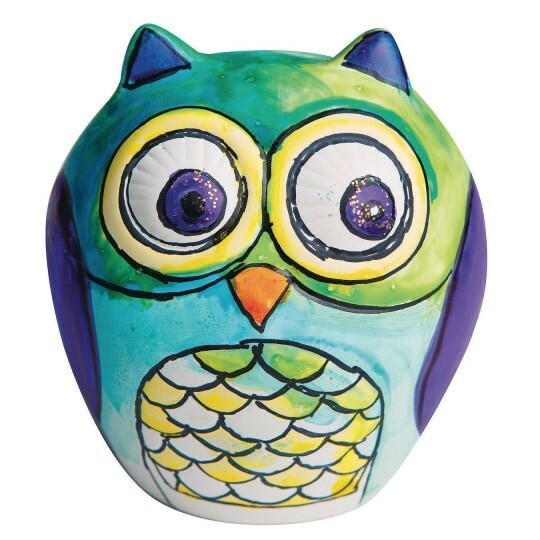 I do a summer art program for a week during the summer and I ordered these cute owl banks! I use in nursing home. 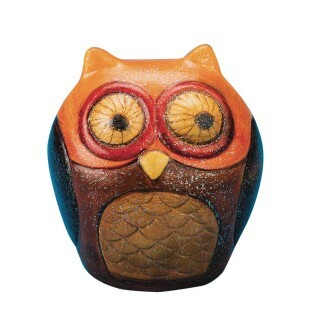 The residents see making their bingo saving banks with these. They are loving it. Who wants to do a great activity? 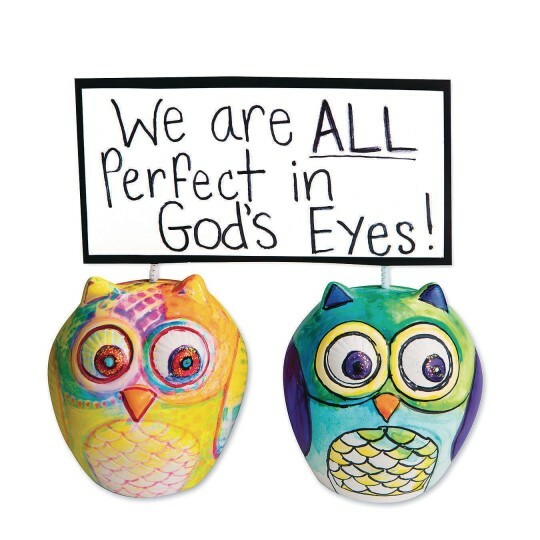 My seniors loved painting these owls! Great Fun-you can bank on it! 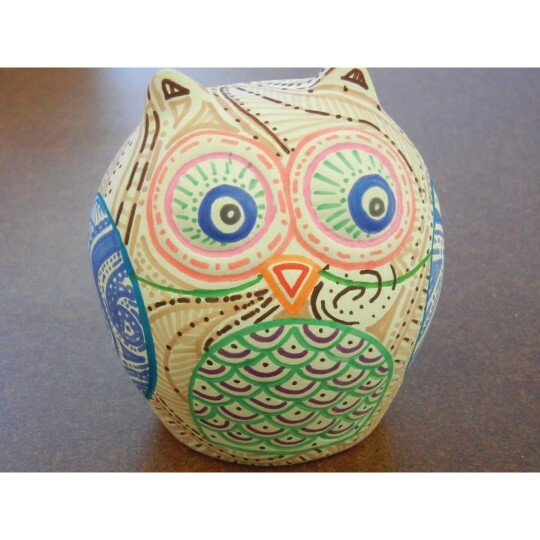 The kids enjoyed these ceramic banks. They were appropriate for a variety of ages. Could be a simple or as intricate as they chose to paint.